As we delve further into our UOI, “Investigations,” we are learning about color mixing and how we can make new colors. 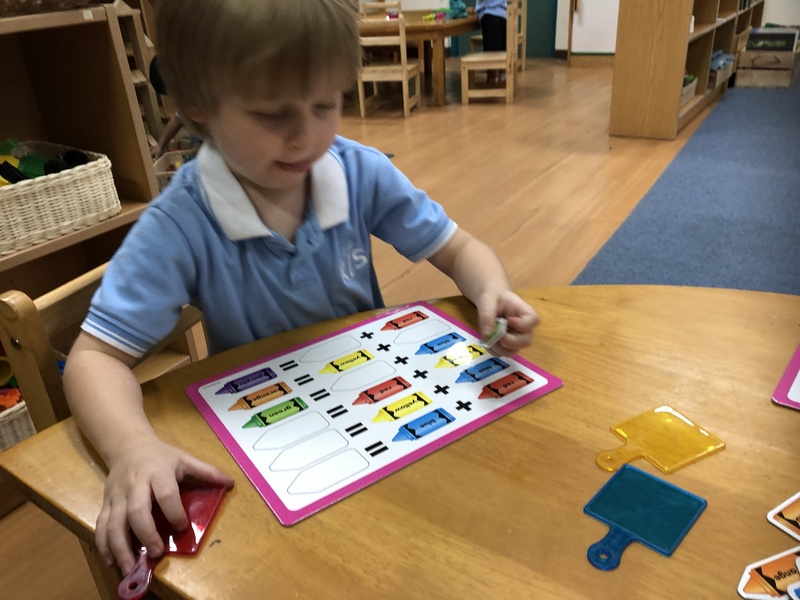 Incorporating math, we looked at the symbols for addition and equals and discussed what two colors we need to add together to make a new color. 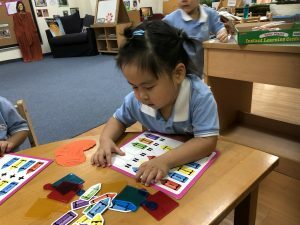 We will continue discussing and observing color mixing this week. 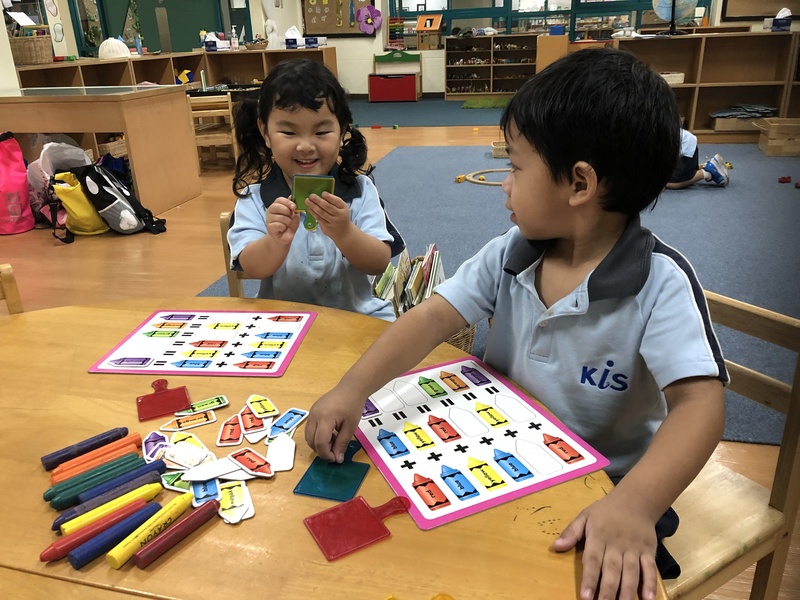 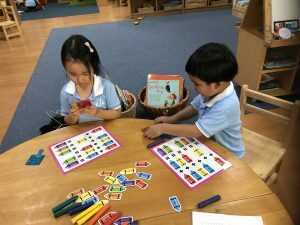 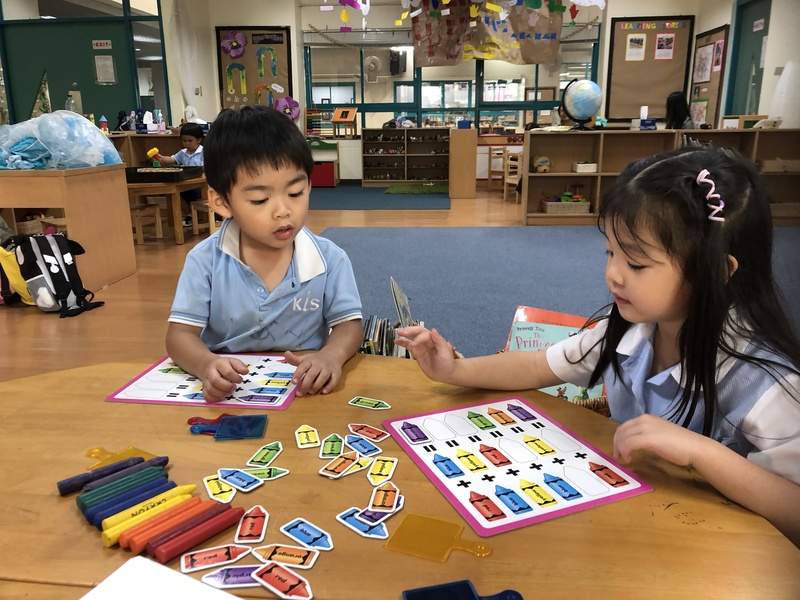 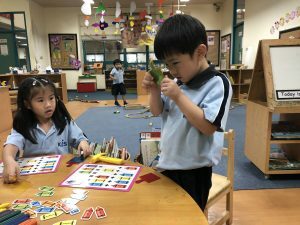 Last week we sorted our Numicon by colors. This week in math we will be going further by matching the Numicon by shape and pairing each with its corresponding numeral. We are working on our second self- portrait, observational drawing. 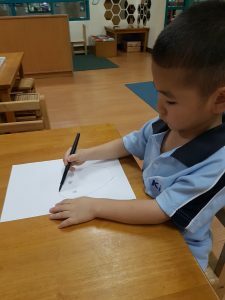 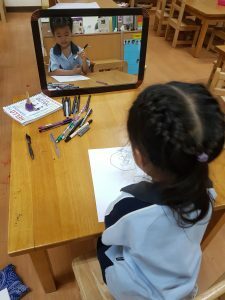 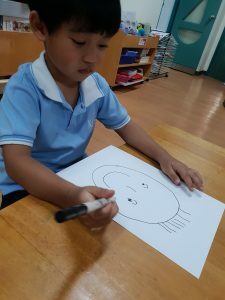 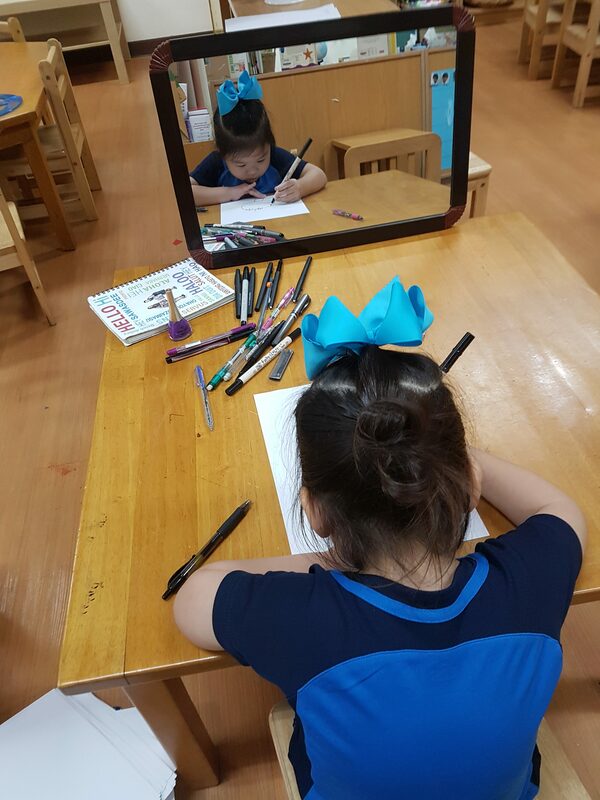 Students are using a mirror to notice all their beautiful features and then drawing what they observe. 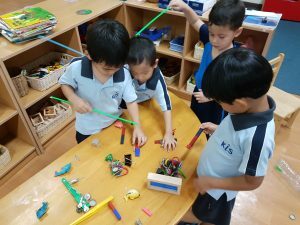 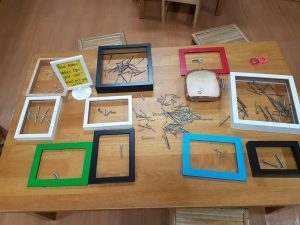 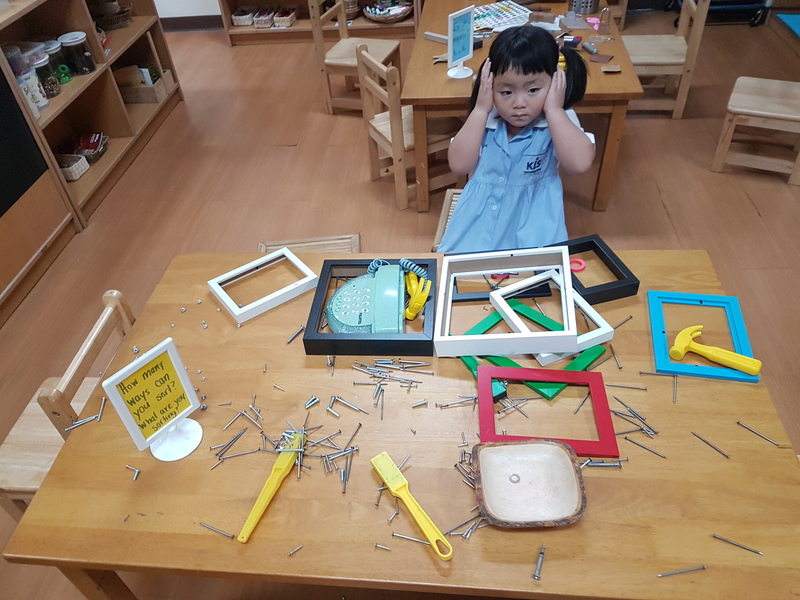 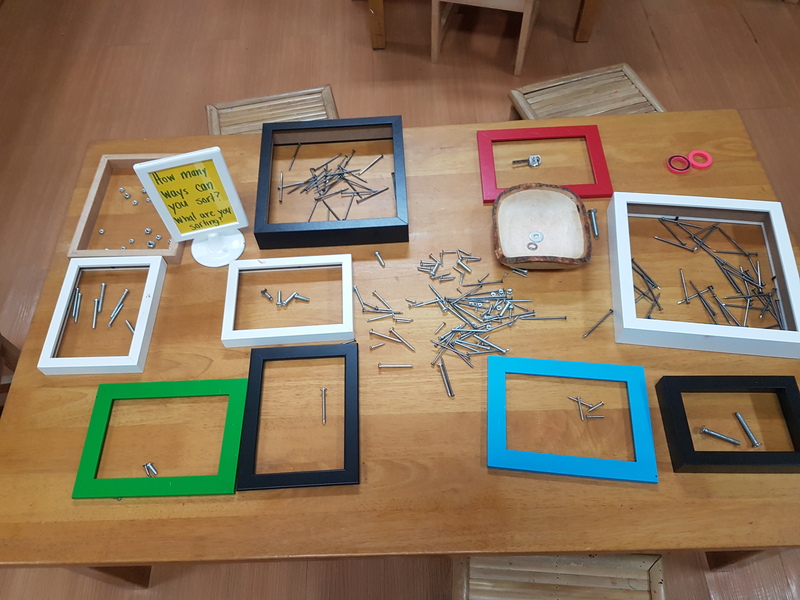 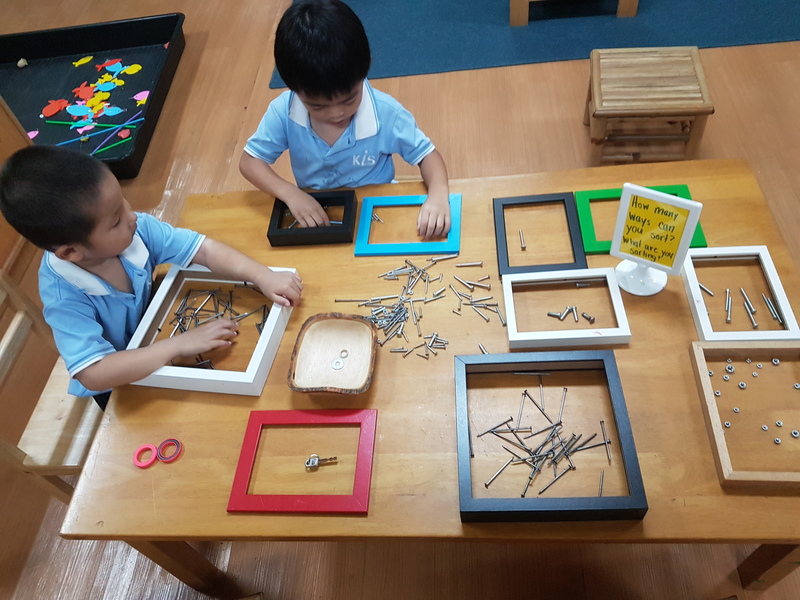 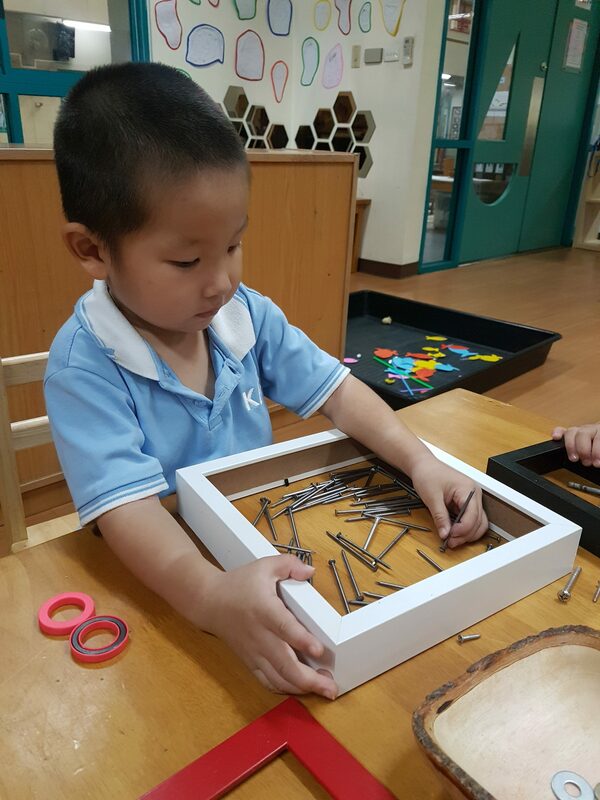 We are also working with loose parts to see how things work. Monday February 4th: 100th Day of School Celebration (Sign up next week to bring food to share).